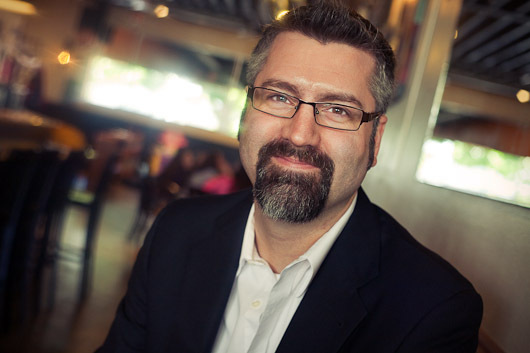 Nick Finck is one of the leading voices in the field of User Experience (UX). While some seem to think User Experience is only related to website and software design, Nick takes it beyond that to include any interaction between you and whatever business or product you are using. 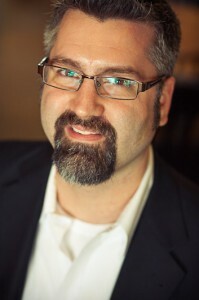 A veteran on the Internet, Nick published and ran one of the first and most definitive online magazines, called Digital Web Magazine. Though new content is no longer added, hundreds of pages worth of wisdom remain available – and in demand. And Nick is not just some geek stuck in an office somewhere. He travels extensively, attending conferences and giving talks about what he does and why it’s important. Which is exactly what I asked him first, when we sat down to talk. AP: What is user experience, why is it important and why does it matter to you? NF: The user experience matters to me because it is a shift in how we do business. Prior to the stockmarket businesses was about appeasing management, once the stockmarket came around businesses was about investors. Now with the user experience being a major factor, businesses are starting to return their focus back to the customer. The voice of the customer is now superseding the voice of management and investors, which I deeply feel is the right way to do business. User Experience is not so much a role or a job title as it is a philosophy. It focuses on things such as usefulness, value, creditability, desirability, findability, usability, and accessibility. Many professionals practice user experience by focusing on these aspects within the work they do, be it interaction design, information architecture, web design, content strategy and more. It is important because it is no longer good enough just to offer a product or service. User experience has becoming the differentiating factor in what makes a product or service successful or a failure. Some of the more successful examples have been the Zappos, Virgin Air, Nike+, Logitech Harmony, Netflix, and of course Apple. Of course you don’t need to be a multi-million dollar corporation in order invest in user experience and see good results. AP: What is your personal philosophy on balancing structure, content and design? NF: While I spend a lot of my work focused on the structural aspects of projects and the strategy, I feel that it is crucial to strike a balance between design and structure, however in most cases content still remains king. If Amazon didn’t have books, they would be nowhere today. If Flickr didn’t have photos, they would be nowhere. If Google didn’t have indices of web pages and news they would be nowhere today. That said, content does rely on design and structure to be successful. It really depends on what kind of thing we are talking about here. For example the balance of design and content is going to be quite a bit different for The New York Times than it is for MOMA. There is no one set rule for the right balance here, there is only what works for the needs of what you are designing and building. To discover those needs you need to do the research, which often means interviewing users, and crunching numbers through web analytics. AP: You often give presentations and share your expertise with peers and even competitors. What do you get out of being part of a community? NF: I have always felt that you will only be as successful in life as the size of your heart. I have been able to get to where I am at in my career thanks to the kind contributions of time, effort, and wisdom of my peers, colleagues, and mentors. Being involved in the community on such a level has allowed me to give back so others can advance in their careers much like I have. I try to give back every day as much as I can because I am grateful to have learned from some of the best and brightest people in this industry out of the pure kindness of their hearts. So if I was rewarded anything for my efforts, it was the reward of watching a junior level web professional move into upper management, watching someone get accepted to a prestigious design college, watching someone land a job in the US related to what they love doing and secured a visa for doing it, watching someone totally unskilled at a particular craft become the known thought leader on that subject. All these things I had a direct impact on and I am happy to have done so. AP: You once wrote ‘The heart is as important to the mentoring process as the brain is.’ How do you apply this in your own life? NF: It’s true. While your brain can allow you to build knowledge and wisdom, it is your heart that allows you to build compassion and empathy. The brain alone enable you to advance your career and make smart business decisions, but you may find that will lead you down a career path you are not interested in. Following your heart allows you to seek out what you are truly passionate about, what wakes you up in the morning and what keeps you going. Its a personal question you need to ask yourself; Would you rather be greatly successful and hate the work you do or would you rather make a modest income and love what you are doing? If you choose the latter the work will find you, if you choose the prior you will struggle every day to win over the work. It’s taken me years to really understand this about life. I have had a lot of ups and downs, a lot of failures and with them lessons learned. I wouldn’t change a thing about that. Each experience builds on itself and you grow as person through it. Every day is a new day, and every day I try to be more true to what I am passionate about than the day before. Life is too short to worry about what went wrong or why, know where you want to be and set down that path with passion and understanding. AP: Professionally, what is the greatest challenge you’ve overcome and how did you do it? NF: I would have to say that the greatest challenge I have had in my career is to know and accept what I am good and doing and what I am not so good at doing. Understanding your limits at a particular craft is always an eye opener. For me it was understanding that there are people out there who do some things better than I, and perhaps more passionate about doing that kind of work than I. Instead of looking at this as competition, I look at this as an opportunity to course-correct myself in pursuing what I am really good at doing and passionate about. There were a series of failures connected with this change and things I had to let go of, but over time I was able to do it and now I feel I am finally on the right path. One example is learning that as much as I wanted to be a visual web designer there are far more skilled and formally trained people out there who simply do better work than I could. Its not to say that if I set my mind to it I couldn’t it done, but it really helped me understand there is a difference between wanting to do something and being passionate about doing something. My passion was elsewhere within the world of user experience, not so much in visual design though the two are related to some degree. Coming to that realization helped me set a career path for myself and set milestones for how I intended to get there. 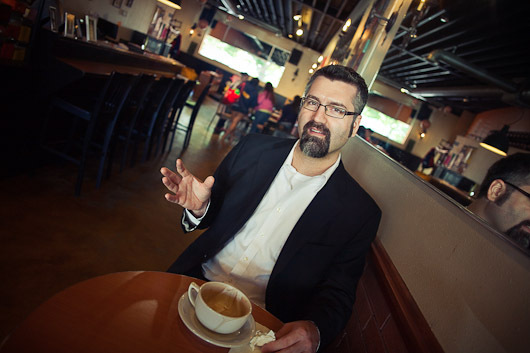 For more about Nick Finck visit his business site, Blue Flavor, or his personal site and weblog. You can also find Nick on Twitter and explore the archives of Digital Web Magazine. This quote really hit home; and is something I’ve started thinking about.